Why Is The MSM Foreshadowing A Massive Cyber Attack Upon Our Electrical Grid Will Be Carried Out By Russia? Why Is The MSM Foreshadowing A Massive Cyber Attack Upon Our Electrical Grid Will Be Carried Out By Russia, Sending America Back To The 'Dark Ages'? In this important new story over at News Web Order that Steve Quayle had linked to on his website on Sunday they report that one of the biggest threats to America over the coming months and years will probably not come to us in the form of 'bombs' but will be delivered by 'a few keystrokes on the computer...and we're done'. Warning of the very real and potentially existential threat posed to our nation due to a cyber attack that takes down the national electrical grids, their story details for us the absolute havoc that would be caused to our critical infrastructure, the 'glue' that helps to hold America together, should the grid go down for an extended period of time. And while their story warns of Russia, China, North Korea, Iran or even ISIS as the potential 'bad actors' that could potentially carry out such a cyber-attack upon America, several recent stories out across the msm hint that a 'false flag attack' could be carried out upon the grid by 'globalist enemies of America within', with none other than go-to 'boogeyman' Russia getting the blame. Joining Rachel 'Madcow' who recently theorized on MSNBC that Russia could attack the grid in the middle of the freezing cold winter while asking her viewers "what would you and your family do? ", the Wall Street Journal recently put out this story titled "America's Electric Grid Has A Vulnerable Back Door -- And Russia Walked Through It". With that story proceeding to re-create what they called the 'worst hack into the nation's power system in history', allegedly revealed to have been carried out by hundreds of cyber attacks upon small electrical contractors by these 'Russian agents', we remind you of this December 31st of 2016 story over at the Washington Post within which they reported a Russian operation had hacked into a Vermont utility company, a story which the Post then retracted due to it being 'fake news' as this January 1st of 2017 story at Forbes reported. So, why the rush amongst the mainstream media to blame Russia for a massive cyber attack upon our power grid? As we had reported on ANP on February 4th, the globalists are very fond of using the 'Orwellian memory hole' technique and should they one day bring the grid crashing down for a lengthy period of time, tens of millions of Americans will remember that the msm told them Russia was hacking the grid. Hence, in their minds, Russia would be responsible for the chaos and anarchy exploding all around them as Americans suddenly realize that food doesn't just arrive in stores magically. According to this recent story over at The Hill, should the electrical grid go down for a lengthy period of time in America, our nation would be nothing less than crippled. Their story then quoted former Israeli Defense Force Major General Isaac Ben-Israel, the cyber security advisor to Prime Minister Benyamin Netanyahu, who summed up in a single sentence: “If you want to hit a country severely, you hit its power and water supplies; cyber technology can do this without firing a single bullet". As most ANP readers know, a long-term grid-down scenario here in America would wreak absolute havoc nationwide with a nation of 320+ million quite literally sent back to the dark ages and a time before the electrical infrastructure was built up across the country to actually support that many people. 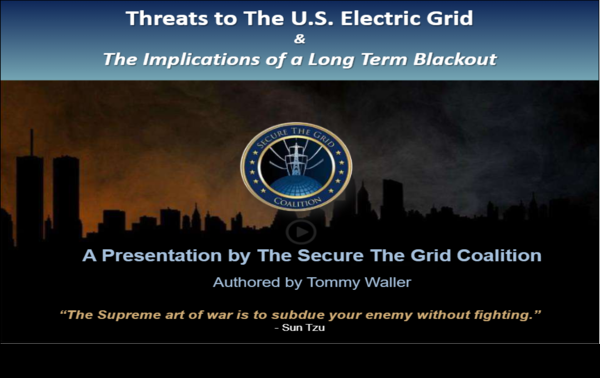 As the Secure the Grid Coalition reports in this electrical grid vulnerability overview, "if the power goes off and stays off, our Nation and the vast majority of its population will cease to exist." You can read their entire report embedded at the bottom of this story within which they warn of the very real potential of a cyber attack or Carrington-like event "prompting the cascading collapse of substations and effecting every one of the other 15 critical infrastructures that assure the availability of water, food, medicine, finance, transportation, telecommunications, etc., possibly for years." As we had reported on ANP back in November of 2018, the biggest threat to those 16 critical infrastuctures that support all of modern day America was any one of a number of different threats that could down our electrical grid and as we had reported back then, many of those critical infrastructure sectors were dependent upon other sectors to function properly. Hence the warning that should any one of those 16 sectors collapse, we'll very likely witness the cascading collapse of each of the other sectors in time thereafter, leaving our nation a mere shell of what we once were, and prompting 320+ million people to battle it out over the remaining food and resources as our nation descends into lawlessness and utter turmoil. 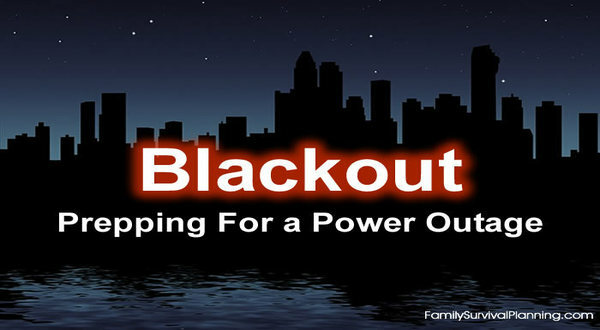 So with the mainstream media hinting at a future Russian cyber attack that takes down our electrical grid, leaving 320+ million Americans living back in the 'dark ages', in this final section of our story we'll take a look at prepping for a long-term power outage, an outage that experts have warned could potentially leave 90% of Americans dead over the next year to 18 months. As Susan Duclos had reported within this February 3rd ANP story, conscientious Americans living in 2019 can learn a lot from the pioneers of the early days of America who survived without electricity, regularly running water, 911, the internet, cell phones, regularly stocked 'grocery stores', the interstate highway system, and automation among many other modern day amenities that we regularly take for granted such as refrigerators and hot water heaters. And while the average length of life was also much shorter then than it is now, many Americans not only survived but thrived though the length of life was nowhere near as long as it is now with modern amenities. Yet with many grocery stores across the nation seeing bare shelves as the Organic Prepper had reported in this recent story, even with automation and our 'just on time' system functioning normally, imagine what will happen should the grid go down long term. So having access to food and water is always 'job #1' if people want any chance at all for their families to survive the downed grid. Thankfully, long term storage survival food is as close by as the internet in both small and large quantities with a one-year, one-person survival bucket running just over $1,000 potentially being one of the best investments one can make should the mainstream media's foreshadowing of the grid being taken down be correct, whether that be by Russia or 'enemies within'. Of course, in such a scenario, one will definitely need a way to cook food without electricity and a way to heat the house, preferably having a fire place or a wood stove to be able to do so without electrical power. Keep in mind, while many homes are now heated by gas or propane, those too generally need electrical power to run. As one ANP reader had pointed out within Susan's story, one absolutely invaluable tool should the grid go down long-term to help one access water from a well that has seemingly been cut off due to lack of electricity are these emergency water well hand pumps that will allow water to be brought up from the well without power. And these 'life straws' can definitely save lives should there be no access to clean water, able to filter 99.999% of waterborne parasites and bacteria with each $17.47 straw lasting 1,000 gallons. And while having a generator won't supply a permanent fix to a long-term grid down scenario, having a way to power one's home for a short time could help get one through the initial insanity that everybody else will be going through without power so having a generator such as this relatively inexpensive $269 Duro Star could make the difference. Besides, having a generator should be a must for any prepper just in case of bad snow/ice storm that takes down the power temporarily. 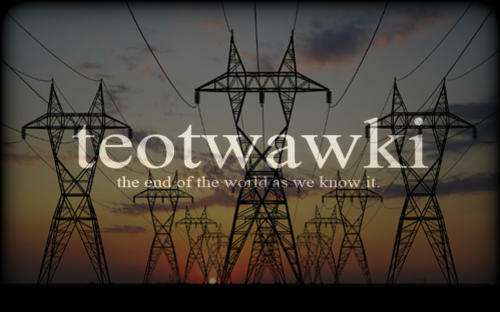 With the mainstream media now hinting at a massive grid down scenario to be caused by Russia, we also remind you that as Susan Duclos had reported on ANP back on December 12th of 2018, two separate US government reports that came out over the last several months also had warned of long term electrical grid outages as Mike Adams from Natural News reports upon in the 1st video below. In the 2nd video below we hear from videographer the K-Line Report on the recent announcement by Rachel 'Madcow' at MSNBC that Russia might even bring down the grid on freezing cold Americans while below that video we have embedded the full report from the 'Secure The Grid' coalition on the grave threat posed to America from a cyber attack that takes down the grid long-term.